Combining personal experiences with scholarly insight, Tressie McMillan Cottom’s Thick: And Other Essays is essential reading for our times. These essays examine race, feminism, and culture with fierce intelligence. The collection covers a range of topics—beauty, healthcare, sexual assault, media representation, and more—always with a focus on the experiences of black girls and women. Each piece weaves together details from McMillan Cottom’s life, observations on US society, and sociological research and theory in order to illuminate the fraught cultural space occupied by black women. The title essay sets the tone for the entire collection. “Thick” is the overarching concept, signifying a method of anthropological description rich in evocative detail, a criticism of women’s physical appearance, and a complaint about complex writing and thinking that is difficult to label and categorize. The essays find positive meanings in each use of “thick,” which comes to connote physical and intellectual power. This idea of seeing strength where others see only a problem is the through line that binds the collection together. A particularly memorable essay, “Dying to Be Competent,” begins with a humorous and incisive critique of LinkedIn, moves on to a searing account of the loss of McMillan Cottom’s daughter after racially charged medical negligence, shifts to the devastation caused by the failure of white people to see the competence of black women, and ends with a critique of global capitalism. The essay successfully brings these disparate threads together to powerful effect. Each essay contains a lively range of tones as well as subject matter, shifting regularly from colloquial to scholarly, from informal to argumentative, from personal to philosophical. The collection illustrates the power of a writer willing to reveal her passions, both personal and intellectual. 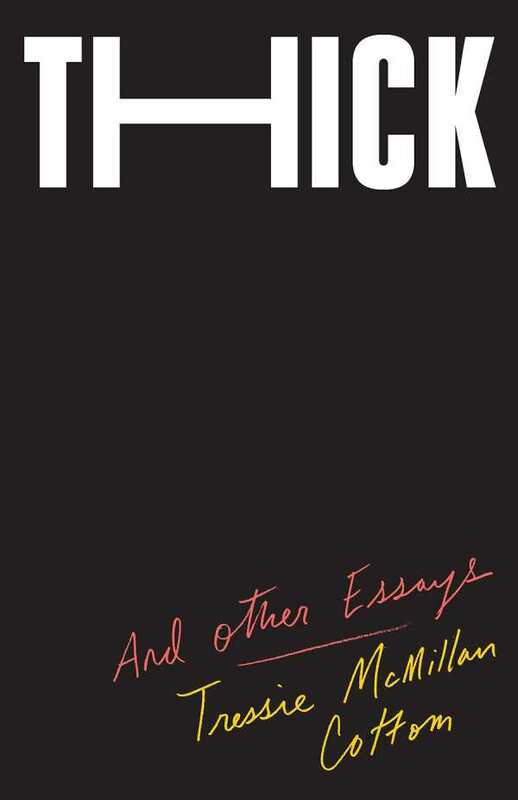 With its mix of personal writing, research, and cultural critique, Tressie McMillan Cottom’s Thick: And Other Essays shows the continued vitality of the essay genre while also making an essential argument about black women’s place in American culture.